If home is where your heart is, then there’s a pretty good chance that home—or at least your Home Folder—is where you prefer to keep your business’ financial information. While there are plenty of excellent Web-based apps you can use for tracking your business finances, if you’re uncomfortable with the idea of working within a browser and keeping your business’ financial information in the cloud, a traditional Mac application is your best option. I looked at four apps for managing your business invoicing and finances: Cognito Software’s MoneyWorks Gold, The Acclivity Group’s AccountEdge Pro, Intuit’s QuickBooks for Mac, and Marketcircle’s Billings Pro. The first three are traditional invoicing and accounting applications, while Billings Pro offers compelling features, but also requires additional software to complete the package. 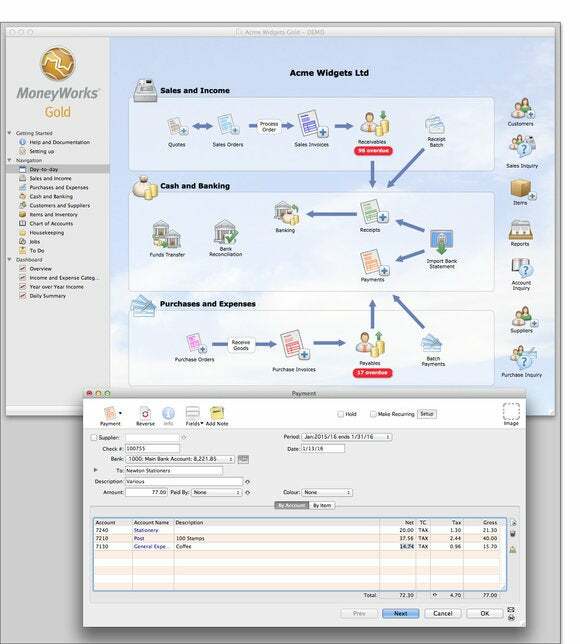 Though all of these apps offer excellent tools for managing your business finances, MoneyWorks Gold stands above the rest, for an excellent user interface. If you’ve been around the Mac accounting game for any length of time you’re likely already aware of the more well-known players, QuickBooks and AccountEdge. The one application that probably hasn’t made it onto your radar—but should have—is Cognito Software’s MoneyWorks Gold ( ; $499). 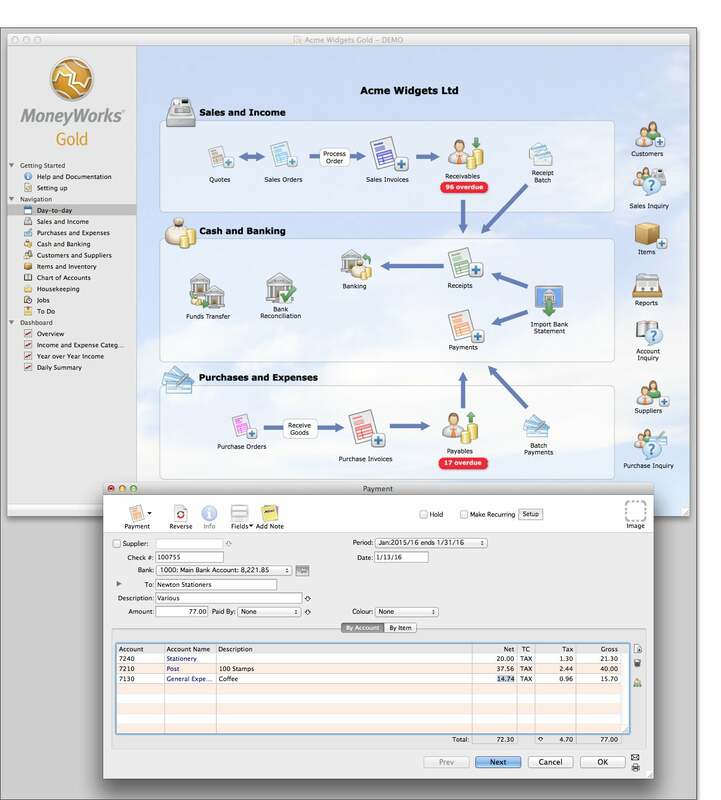 MoneyWorks Gold is a solid, full-featured business accounting application that is networkable, supports multiple users, and works on both Macs and PCs. MoneyWorks offers simple access to all your business data and the options for sharing your data with Mac and PC users on your network. 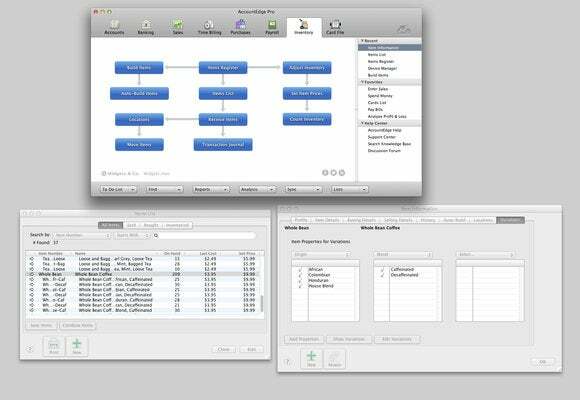 MoneyWorks uses a flowchart-like interface similar to what’s used by both AccountEdge and QuickBooks for Mac. The application’s interface consists of a sidebar with navigation links to MoneyWorks’ collection of financial tools and a larger main window that displays a flowchart that changes depending on which item you’ve selected in the sidebar. 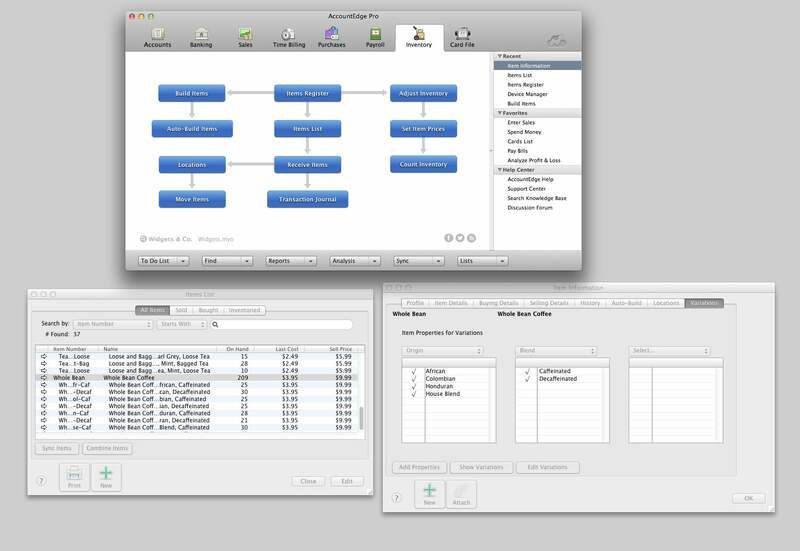 As is the case with both AccountEdge and QuickBooks 2014, the flowchart attempts to create a visual relationship between various business activities. While this makes all of these applications a bit more interesting visually, in practice I’ve rarely used the flowchart to figure out how the many aspects of a business are related. Most of the tools you’ll use on a regular basis appear in the navigation section entitled Day-to-day. Here you can create quotes, sales orders, and invoices, reconcile your bank accounts, create and receive purchase order items, and review accounts payable. Each of these same tasks are also available in other areas of the application and selecting other Navigation options provides you with access to a deeper set of tools and features. For example, when you select Items and Inventory you have tools for receiving stock on items you’ve ordered, viewing a journal list of all the stock you have on hand, and building new stock items from items you have in your existing inventory. With multiple users enabled, MoneyWorks makes it easy to manage which users have access to what in your company’s data file. MoneyWorks includes just under 100 reports, including sales tax reports for Canada and VAT reports for the U.K. 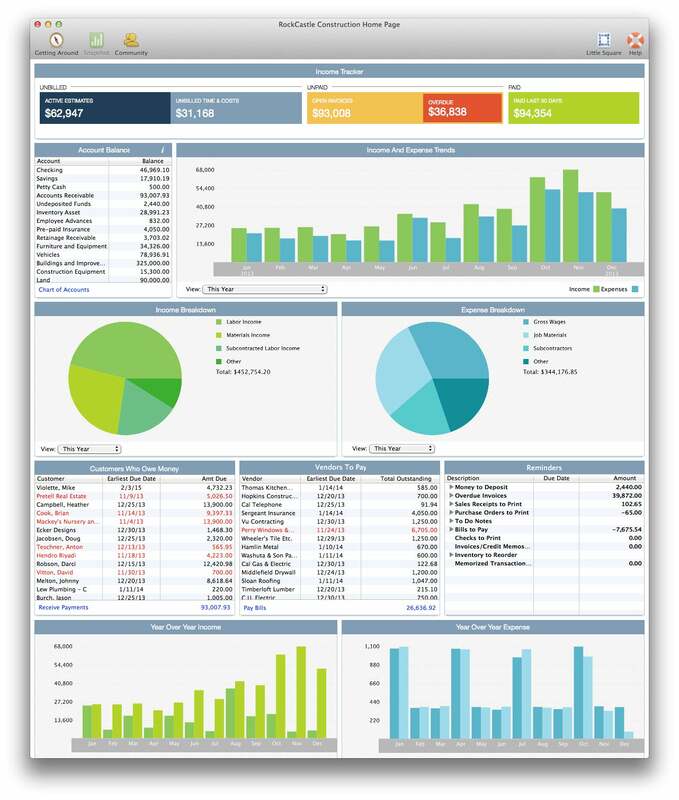 If none of the application's existing reports fit your specific needs, you can create custom reports of your own. Reports are available either from the Reports menu or from the main application window when you’ve selected a specific navigation area. For example, selecting Chart of Accounts from the navigation sidebar provides you with links for a number of account-related reports. Two features make MoneyWorks a standout: Multiuser network capabilities and cross-platform client applications. (Features also found in Acclivity’s AccountEdge product.) Sharing your MoneyWorks file on the network is as simple as opening the Sharing and Users settings and putting a check in a box to turn on sharing. (A Datacenter version allows access by iOS devices and multicompany hosting) By default the application allows access to anyone on the network, so to limit access you also need to password protect your data file. Once you do so you can add users and limit their access to features. Unfortunately, there is no group option for managing user access to data, so every user you create needs to have access managed individually. Depending on how you look at Acclivity’s AccountEdge Pro ( ; $399 new, $159 single user upgrade, $249 multiuser upgrade) it is either a little stale or as consistent as it has ever been. The basic idea behind the application’s flowchart interface has been around since it was first released well before Mac operating systems were named after cats. Little has changed about the way the AccountEdge looks in nearly a dozen years, but, in terms of accounting capabilities, it remains a solid application. Little has changed in the way AccountEdge looks, but you’ll find a number of new features under the covers that should enhance your accounting experience. AccountEdge has long been an application that allowed you to do your business in a networked environment on both Macs and PCs and, like MoneyWorks, gives you control over who has access to specific parts of your company’s financial data. The program still provides excellent tools for securing your data while still providing access to your accounting and inventory data in a multiuser, multiplatform environment. While not much has changed on the front end, AccountEdge has added a few new features for 2014, including the addition of master inventory items that allow you to create dozens of varieties with out having to create distinct inventory items for each variety. So, for example, you can create a category called Whole Bean Coffee that can then be broken down into more specific varieties such as specific roasts in caffeinated or decaf, all of which makes it much easier to manage your inventory. Acclivity has also rebranded and updated its AccountEdge Web front end, offering features in the cloud, including options for creating invoices and other transactions from a webpage. Marketcircle’s Billings Pro ( ; $0/$5/$10 per month per user plans, or $99 per year per user) is beautifully-designed application that uses a subscription-based service with some Web-based features, but with which you create invoices, estimates, and collect time-billing information using your Mac OS or iOS device. Everything you do is created and managed locally and then synced with using a database that is hosted on Marketcircle’s servers. Billings Pro offers the most beautiful, customizable invoice, estimate, and statement documents you will find in any similar application. 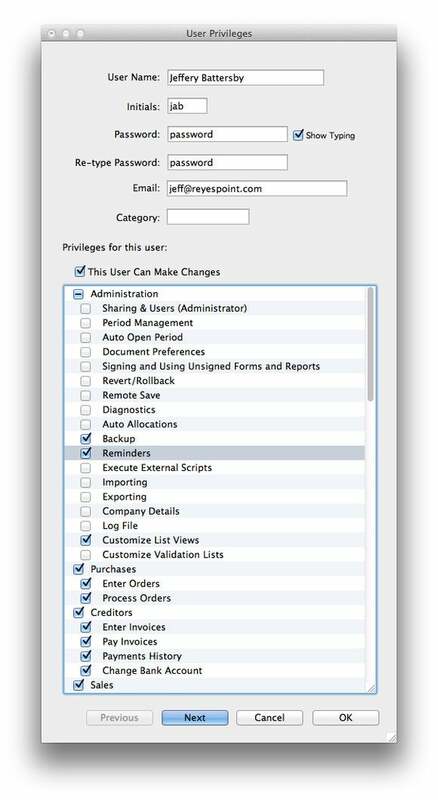 I’ve used the Mac and iOS versions of the original Billings application for years and, like many, was disappointed when Marketcircle dropped the standalone application in favor of a client-server subscription model. That said, after about a month of using Billings Pro instead of the standalone application, I found it to be better than the old standalone version. Billings Pro is not an accounting application, but you can export Billings Pro data directly into QuickBooks for Mac or MoneyWorks 6. (At present, MoneyWorks 7 is not supported, but Marketcircle states that support is forthcoming.) What makes Billings a standout is integrated time billing and what are probably the most beautiful, customizable documents you will ever see in a program of this type. The key here, though, is time billing. 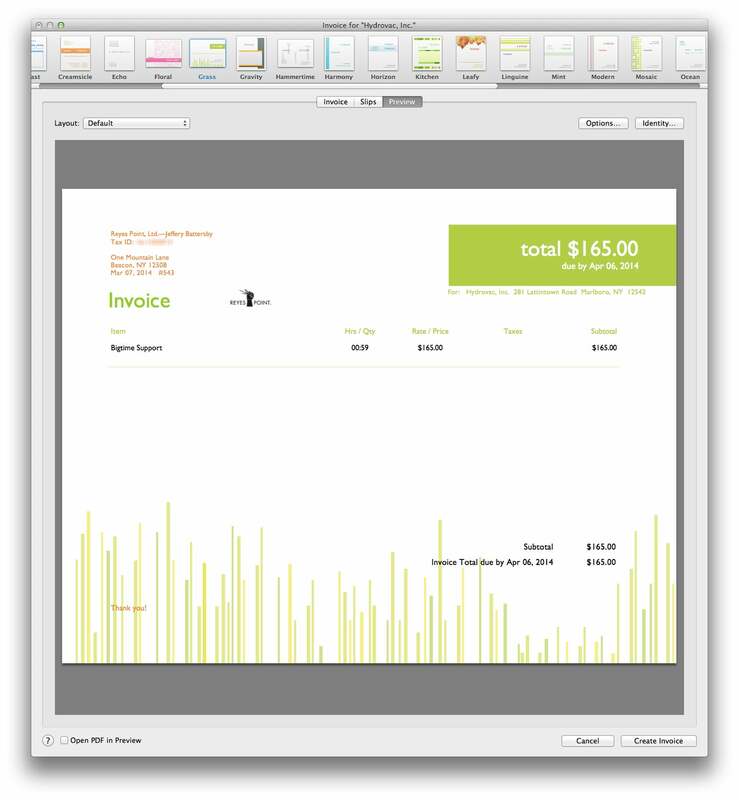 While almost every business accounting package you’ll find offers a way to enter time billing information into time sheets, Billings Pro lets you track your time in the field, and create an invoice directly from the collected information. This may sound like a small deal, but it’s integral to the way many people bill for services, and a feature missing from all of the other applications mentioned here. While I do love Billings Pro, it’s not perfect and requires you to discover the “Billings Pro workflow” before you can use it. In the Billings Pro world everything you do needs to be part of a project, so no matter what you’re doing, you have to set up a project first and then add Working Slips to those projects and bill based on information collected in the slip. This isn’t a huge problem, but may be an unnecessary step for some businesses. QuickBooks Mac 2014 got a full review in Macworld ( ; $250) last December... well, no surprise, there haven’t been any changes. While it offers no cross platform capabilities, QuickBooks for Mac 2014 still offers excellent small business accounting tools. While this business accounting application has made it easier to get your data to and back from your accountant, it is still incapable of working in mixed Mac and PC environments. Sad, but true. But that doesn’t mean that it’s a poor accounting application. QuickBooks for Mac will take good care of your business finances, as long as you understand its limitations. A new user interface gives QuickBooks a look and feel similar to Intuit’s Mint.com and the new Web interface for QuickBooks Online. This new look gives you a great overview of your financial status at a glance. 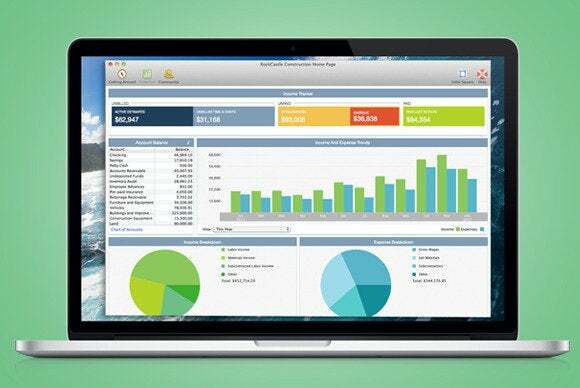 While not everything you might want, QuickBooks for Mac 2014 still gives you what you need to take care of business. Color me surprised. While AccountEdge remains an excellent application for managing your business finances, and remains one of my personal favorites, MoneyWorks Gold offers all the accounting features you’ll need, though it is more expensive than AccountEdge. And while it doesn’t offer any true accounting features, Billings Pro is the only invoicing application available that allows you to create invoices from time billing information you collect. For me, that’s a necessary feature missing from all of the other applications. QuickBooks, while good, still lags behind the others because it lacks the cross-platform capabilities necessary for any fully networked cross-platform business environment. Editor's note: Updated on 4/10/14 to correct MoneyWorks Gold pricing. QuickBooks remains a solid business accounting application that will help you keep an eye on your business, though it's still doesn't have cross-compatibility with the Windows version.